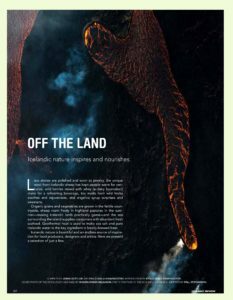 Í Iceland Review 05.16 er fjallað um íslenska hönnun. Á forsíðu umfjöllunarinnar “Special Promotion/Made in Iceland” er heilsíðu mynd af FUZZY gærukollinum, þetta er mér mikill heiður og þakka ég Iceland Review fyrir. Iceland Review 05.16 discusses Icelandic design. 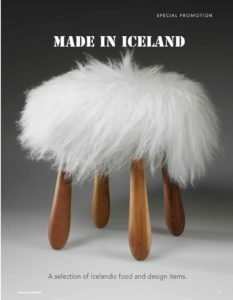 On the frontpage of the articles “Special Promotion/Made in Iceland” is a whole page photo of the FUZZY stool, this is a great honor for me and I thank Iceland Review for this.